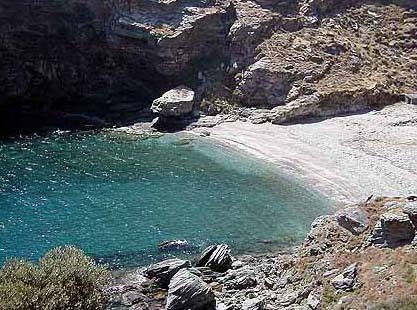 At the eastern coast in the Chora area, next to Syneti village is located this beach. We find it if from Chora we follow the central road to Korthi and then turn left to the village and immediately left to the beach. It is a beach with pebbles and caves in the sea where the mountains shade the beach.